Ready to explore and head on the path of self-realization and discovery by opting for 300 hour yoga teacher training in rishikesh, India course and certification at Buddha Yogpeeth? Looking to discover the root and basics of Yoga to the core? Want to connect with yourself to the innermost level and bring out peace within from the same? Feel free to enrol for 300 hours yoga teacher training alliance course at one of the best yoga school in India and learn the practices in a peaceful and calm atmosphere by expert yoga gurus. The mission is to help candidates learn about yoga and achieve inner peace and contentment through ancient yoga teachings and practice and maintain even after going back to your place from our ashram. Sacred Mantra Chanting – The aim is to feel connected spiritually with the universe. Yoga Asanas/Postures – Students will learn about different styles and how to increase flexibility, discipline and strength in overall. The syllabus will cover different styles of yoga including Vinyasa yoga, Ashtanga yoga, Hatha yoga and so. Breathing Practice/Pranayama – It is very important in order to learn about Yoga and is like a key heading to Meditation. Mudra or Yoga Gestures – Learning and practicing them impacts an individual‘s mental and spiritual characteristics. Energy Lock or Bandhas – It helps in overall a person to feel and get strengthened all inside out. Meditation – The aim is to reach near to self realization. Yoga Nidra – The aim is to understand and experience the real meaning of relaxation. Yoga Cleansing – Along with removing blockages, it helps in learning how to breathe and mediate properly. Anatomy and Physiology – Good understanding and knowledge of physical body helps in preventing injury during, before or after practice. Being aware of both physical and spiritual yoga anatomy is important and taken care of at our Yoga school in India. Yoga Philosophy – A key to establish fully fledged yogic practice and gain yogic strength. Yoga Therapy – It helps to identify mental, physical or emotional disorders and through therapy, students get help to fight with them. Teaching Practice – Students were given chance to practice their skills in front of their gurus and peers. Teaching Methodology – For a good yoga teacher, it is important to be aware of every aspect and in this phase, students will learn about creation of a peaceful and healthy class environment mandatory to enjoy the transformation. Addition of stretches and holds in Hatha and Ashtanga yoga. Learning of new mantras and techniques, theoretically and practically. Higher practice level of Meditation and Pranayama techniques. Perform each asana easily and do not cause any injury. Fun with Yoga through dance sessions, laughter sessions and more. 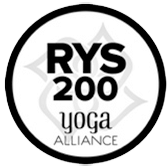 The assessments at the end of the course of 300 hour yoga teacher training in rishikesh, India will be conducted on the basis of attendance, oral test, written test, behaviour and performance. The course fee will cover accommodation, fresh homemade vegetarian meal and tea, yoga material, weekend excursions, Ayurvedic massage, sightseeing, and so. In case, something else is required, feel free to let us know and we assure to cater the same as per the preference and convenience. The uttermost priority is the comfort of the students. For more information, get back to us anytime. We would like to serve you in the best possible way.